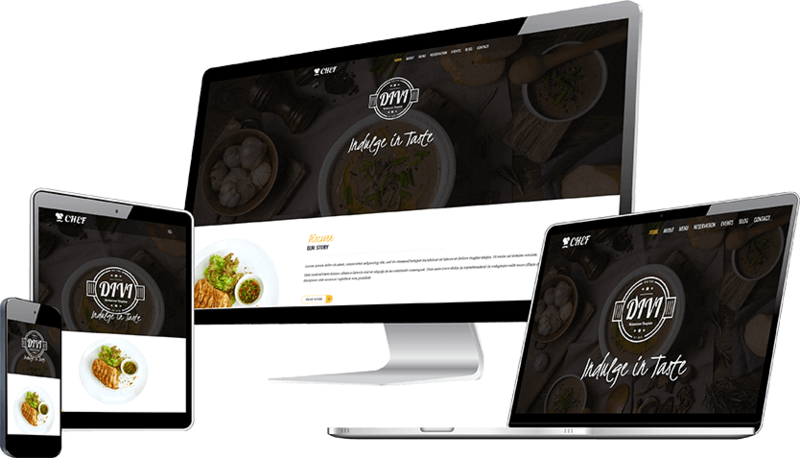 Divi Chef is a Premium WordPress Restaurant Child Theme for Divi. It can be used to create website for Restaurants, Chefs, Hotel, Pizza Shop and Similar businesses. 2. Events – It allows creating custom events on the site. 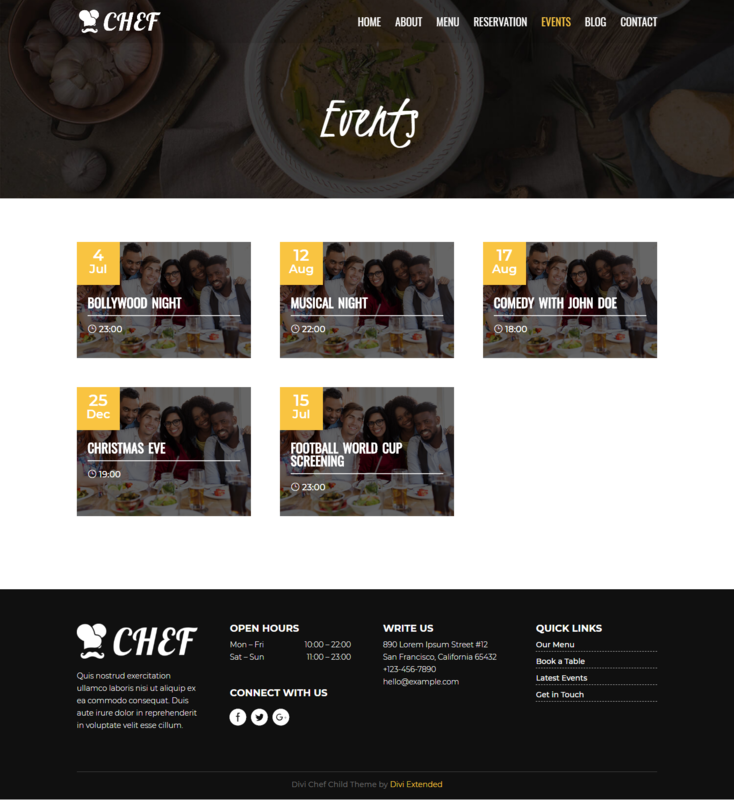 These modules are fully responsive, tailored to fit in a Chef or Restaurant website and can be inserted in any section using Divi Builder.